If a court of law were to evaluate the evidence for Jesus Christ, what would be its verdict? Many scholars and skeptics have been startled by the facts of history about the most influential person who ever lived. What did they discover? 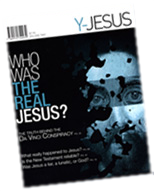 We invite you to examine the facts in the following articles and come to your own conclusion about who Jesus Christ really is.